It has been a while since I’ve written a spring skincare update post so I thought it was time for me to share the products that I’ve been using this last month. Experimenting with new beauty products is one of my favourite things to do however, I always tend to stick with the brands I know and trust. Everything I have tried from Antipodes has my stamp of approval! These three must-have organically certified skincare products are formulated with natural ingredients that will help your skin transition from season to season. 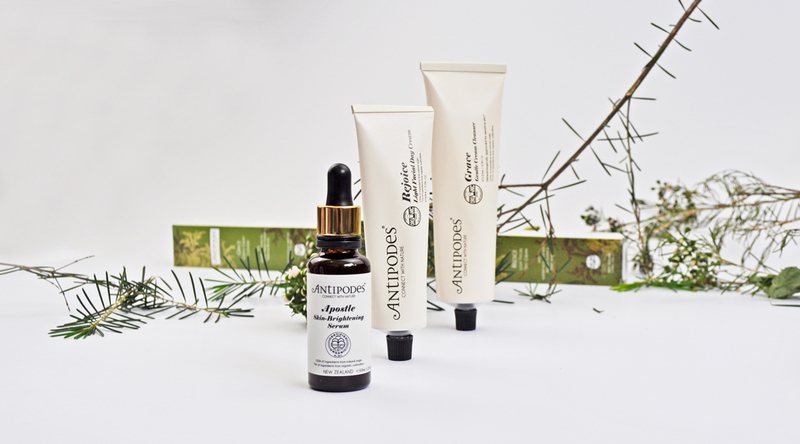 A little background information: Antipodes is a Scientifically Validated Organic Beauty brand that is slaying the eco-beauty world with their amazing cosmetics and skincare range made of high-performance, nature-based ingredients, and formulations. TIP: All Antipodes products in white packaging are most suitable for sensitive skin. Step one: This silky soft fragrance-free gentle cleanser is designed to eliminate impurities and remove all traces of makeup. It is gentle enough on sensitive skin conditions and feels ultra-hydrating without irritation. It melts onto the face as you’re applying it in circular motions with your fingertips and it leaves my skin fresh, clean and smooth afterward. Elements of Beauty: Avocado oil, Vinanza Oxifend, Marigold bloom. Clear impurities and gentle cleanse with the Antipodes Grace gentle Cleansing Crème. This blissfully soothing formulation features super-antioxidant Vinanza Oxifend which helps to defend your skin cells from oxidative stress, thereby addressing signs of stress and aging. Step two: If your skin is dull, blemished or uneven then this water-based serum is a great natural option for getting your glow back. This lightweight serum quickly soaks into my skin as soon as it is applied, leaving it instantly more hydrated. I apply it liberally to face, neck and décolletage morning and night after cleansing before I moisturise. It works a treat fighting breakouts, keeping my skin nourished and hydrated! This serum is suited for all skin conditions, especially pigmented. Elements of Beauty: Waiwera artesian water, Vinanza Grape & Kiwi, Vinanza Oxifend. Pure Plant Fragrance: Green apple & cardamon. Step three: This gentle day cream helps me start the day feeling uber fresh and awake! It is designed to enhance the skins natural hydration, decrease the appearance of fine lines and keep breakouts at bay. It’s incredibly lightweight and absorbs quickly leaving my skin looking supple and hydrated. If you have tired and stressed skin then I would highly recommend this. This day cream is suited for all skin conditions, especially oily and sensitive. Elements of Beauty: Manuka flower oil, Avocado oil, Macadamia nut oil. Pure Plant Fragrance: Sweet almond. Gentle, light and non-oily, the Antipodes Rejoice Light Facial Day Cream is the perfect addition to your Spring/Summer skincare routine. Nutrient-rich avocado oil helps create a healthy, plumped visage to decrease the appearance of fine lines. Manuka flower oil, renowned for its health benefits, promotes the perfect, blemish-free complexion. You can thank avocado oil’s high levels of plant compounds called phytosterols for transforming tired and stressed skin. What are some of your favorite skincare products? Let me know in the comments below! Great post! This brand sounds really promising especially the moisturizer so I definitely want to check it out some day. 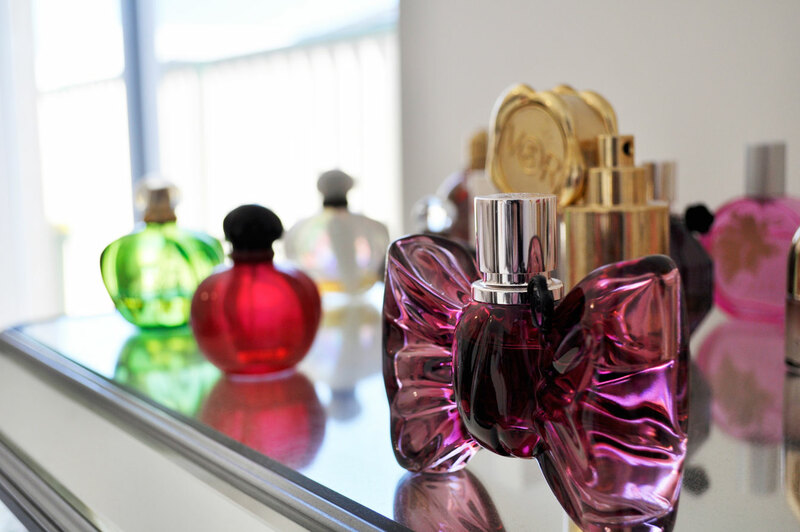 I am sure you will love their products! Antipodes make some of the best serums! I think I need the Skin-Brightening Serum! Just got an Antipodes skin-plumping serum in the Priceline gift bag that I can’t wait to try! The Priceline gift bag is a bargain! I love their skincare products! I’ve always loved the look of antipodes, I need to try out more of their products especially for the new season! Antipodes have such a fabulous skincare range! I love their facial oils and hand creams! I love Antipodes so much! They are one of my favourite skincare brands for sure. I’ve been through a whole thing of Apostle and really loved it. I haven’t tried the other two though! I have tried Antipodes Juliet Cleanser and liked it, the serum sounds so nice. This skincare range looks so good! Must try!